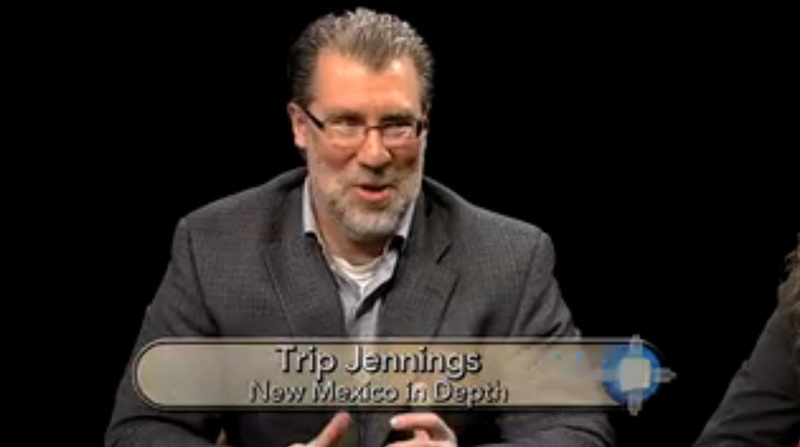 Breaking the Rules: The New Norm in New Mexico? So said Dianna Duran on Friday at a post-court hearing news conference. Minutes before, the former Secretary of State had pleaded guilty to six criminal counts, including two felony counts of embezzlement, related to illegal transfers of an estimated $13,000 she had made from her campaign account to her personal account. What contempt Duran has for the public and the trust it put in her. New Mexicans elected this woman twice to protect the integrity of elections. Her very job, more than any other public official in New Mexico, was to bolster public trust in a fundamental sacrament of a functioning democracy: that of voting. And there she was copping a plea for diverting money from her campaign account — given to her by contributors — to feed a gambling addiction. What Duran did harms much more than just the integrity of a single constitutional office — it damages you, me, elected officials and the bonds that tie all of us to together in this fragile endeavor we call democracy. Duran’s crimes occur at a time when the public has lost faith in public officials across the country. In New Mexico, in particular, that trust has been tested by an affliction of rampant corruption. When Don Tripp, the Republican Speaker of the New Mexico House of Representatives formed a committee last month to determine whether or not to recommend impeachment of Duran, it was the third time in 10 years that a House Speaker had created such a panel. Ten years ago, in 2005, a House impeachment committee investigated then-state Treasurer Robert Vigil (He later spent time in federal prison.) In 2011, a different House panel probed the actions of then-Public Regulation Commission member Jerome Block, Jr., who spent time in a drug rehabilitation program. The roster of New Mexico scandals doesn’t end there. The steady erosion in public trust is part of New Mexico’s public record. A second former state treasurer, Michael Montoya — Robert Vigil’s predecessor in the office — pleaded guilty to extortion in 2005. Not too long after, Manny Aragon, the former Senate president and majority leader, was sentenced to federal prison for corruption. Sometime around the same time — it’s hard to keep track there have been so many scandals — a federal jury convicted Joe Ruiz, a former deputy state insurance superintendent, of corruption. Then there was then-Gov. Bill Richardson withdrawing his name from consideration in 2009 as President Obama’s Commerce Secretary because of a federal corruption investigation. That same year, then-Attorney General Gary King indicted former Secretary of State Rebecca Vigil-Giron and three others in an alleged fraud scheme involving federal Help America Vote Act money. Charges against Vigil-Giron were later dropped. The reason: Her case dragged longer than a judge thought appropriate. But the three other individuals indicted by King later were targets of a federal investigation and received federal prison sentences on various charges. The corruption drumbeat continued into 2015, when Phil Griego resigned his state Senate seat for his role in a shadowy land deal. And last week New Mexico State Police opened an investigation into possible criminal wrongdoing involving a former Public Education Department official. This serial drumbeat of ethical failings by New Mexico’s public officials is the context in which Duran’s crimes occurred. And she had the arrogance to stand there Friday and say her actions didn’t jeopardize the integrity of the office. What planet does she live on? Breaking the Rules: The New Norm? Earlier this month, a New Mexico state senator asked me via e-mail to “investigate those of us who do follow the rules in our reporting” and offered to sit down to go over his campaign finance records. I’ve always worked from the assumption that news is news when something deviates from the normal, or defies expectations. From this perspective, a story about rule-followers would be the equivalent of saying ‘Breaking the rules’ is normal in New Mexico and those who don’t are the exception. But perhaps we are at that point in New Mexico. I don’t like writing that sentence. I’ve gotten to know many public office holders and political candidates over 10 years of living in New Mexico, and many seem to be decent, rule-following types. But, really, who cares what I believe. What if the public no longer believes it? What if they see Duran’s prosecution as yet another reason not to become involved because the system is rigged and public officials are out for themselves, not the common good? How do you fight against that? You can’t point to robust enforcement in New Mexico as an emollient. Oversight in New Mexico is anemic, if not virtually non-existent. State lawmakers say they can handle ethics problems with internal committees. But that’s a joke — Peter St. Cyr reporting for NMID’s 2015 special edition earlier this year found that since 1994 the Legislature’s Interim Ethics Committee spent most of its time writing 11 advisory opinions on benign subjects like the proper use of government emails and stationery. Then there’s Duran, who held a statewide office responsible for overseeing the campaign finance system. Her record of collecting fines on violations of the state’s campaign finance laws was lax to say the least. Given the succession of political scandals and felonious activity over the past 10 years, how is the public – many of whom don’t get the opportunity to meet their representatives up close like I do – supposed to know whether or not the state’s public officials are trustworthy? When does the succession of scandals and corruption tip the public’s trust into cynicism and disgust – and apathy? These are questions I ask myself often these days. It’s as good a time as any for New Mexico lawmakers – all public officials, honestly – to seriously ponder these questions and seek solutions to restore New Mexicans’ trust in public service. Because, in my opinion, the Legislature’s take-no-action approach over the last decade is beginning to look a lot like an incumbent-protection racket in which the public is at most an afterthought. GOAL WestPAC, a federal super PAC fueled by New Mexico oil and gas interests, is trying to defeat the Las Cruces mayor.